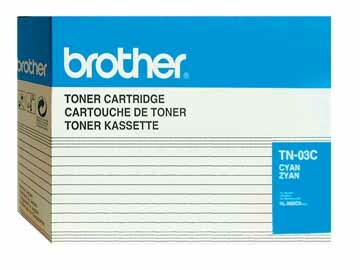 Genuine OEM Brother TN03C Cyan Toner Cartridge(s) are designed to work in the Brother HL-2600CN printer/copier(s). By buying Brother TN-03C Toner Cartridges from our ink and toner store we guarantee you the best quality you can get. We can assure you, you will receive your Brother TN-03C at your location right on time, with no additional costs. If you are not fully satisfied with the Brother TN-03C Toner Cartridges, you have purchased from our ink and toner store, we are ready to replace it with another Brother TN-03C Toner Cartridge.